These suites with beautiful balconies are perfectly located at the end of downtown. Heatherton Apartments will be a great place for you and your family to call home. This family friendly building is near to Peter Pond Mall and a variety of stores on Franklin Avenue. Easy accessible to public transportation. Receive up to $3960 off on select suites. 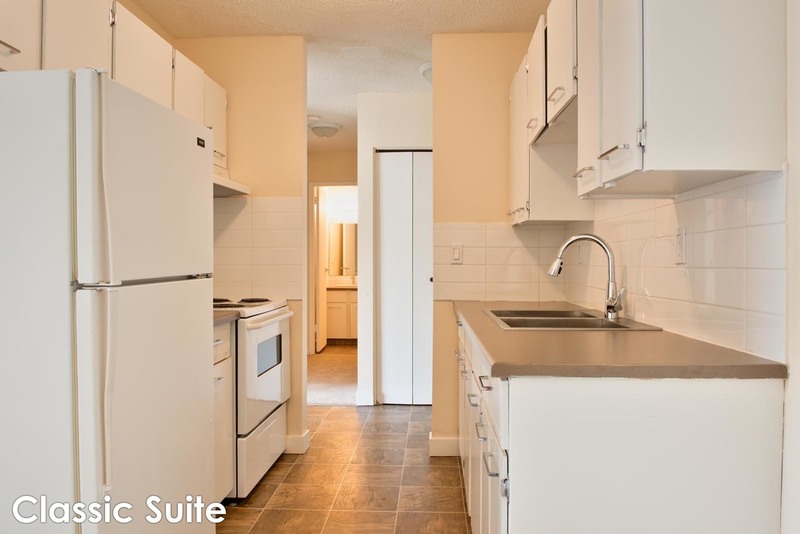 Upgraded suites with modern finishes providing you with the essential fridge, stove and a spacious storage room. Some suites have a beautiful spacious balcony or patio. 2 bedroom furnished suites are available. Heat, water and an energized parking stall are all included in rent. Right on the edge of downtown on Franklin Avenue. You are surrounded by commercial conveniences along with pleasant greenery and recreational spaces to enjoy. Short commute to Tamarack Village, near MacDonald Island Park: Canada’s largest community recreation, leisure and social center.